Geo Metro is also known as Suzuki Swift or Pontiac Firefly. Each of our Geo Metro convertible tops is manufactured to original pattern specifications and we offer the original fabric selection. 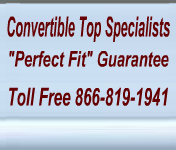 Our Geo Metro convertible tops will instantly renew your vehicle to show room condition.